Historical Fiction Virtual Book Tours! Truth: my love of historical fiction is far out-weighed by my fear of 600+ page books. It is this reason alone that in the past I was scared to pick up a book by Anne Easter Smith. The covers are gorgeous and the plot lines intriguing, but they are all such chunksters! Looking back now, I am so glad I picked Queen by Right up. It was completely worth it! 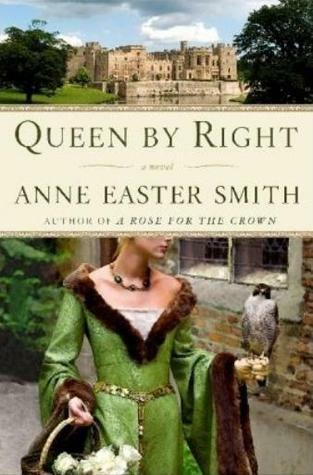 Besides being exposed to the wonderful author Anne Easter Smith, I also was able to delve into the War of the Roses, a time period in England I wasn't all that familiar with (pretty ironic since I seem to have out-read the Tudors). In the War of the Roses, the York family and Lancaster family are battling it out to assert their claims to the throne of England. Since the two families were distantly related and greatly intermarried, people were fighting their own family, giving the war the alternate name The Cousin's War. In the middle of this battle for power is Cecily Neville and her husband Richard Plantagenet. As the Duke of York and great grandson of Edward III, Richard had a strong right to the throne, some said even more so than the king, Henry VI. He fights for this right for the majority of the book, and Cecily is faithfully alongside him the entire time. Cecily is strong and willful, surprisingly so for the day and age and is nicknamed 'proud Cis.' She was such an interesting character to choose to base a novel upon. I liked her voice and point of view she saw all these events unfolding from. I also greatly enjoyed her relationship with her husband - they were one of the few love matches of their day. They were devoted to each other and respected their opinions and wishes. I was fortunate enough to pick of Philippa Gregory's The White Queen immediately after I finished this book and was able to continue the story through the eyes of Elizabeth Woodville, Cecily's daughter-in-law. As nice as is was to have an almost seamless transition time-wise, it stung a little to have Cecily played out in such an unflattering light in Gregory's book. Why is the mother-in-law always mean and grumpy? Overall, I'd give Queen by Right 4 stars. There is romance, history, war, and betrayal - enough to satisfy all! Though as I said before, you'd better be committed if you start this 500 page book. 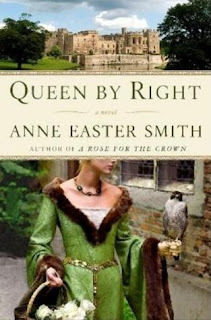 Now I'm off to pick up more books by Anne Easter Smith! I love historical fiction, but I avoid it for the same reason that you do. (And given the concept of my website, I'm kind of precluded from reading much!). This book does look fabulous, though, and thanks for the reminder about Philippa Gregory, too!